Juliet Mian, Technical Director, looks back at 2018 and looks forward at our exciting plans for 2019. 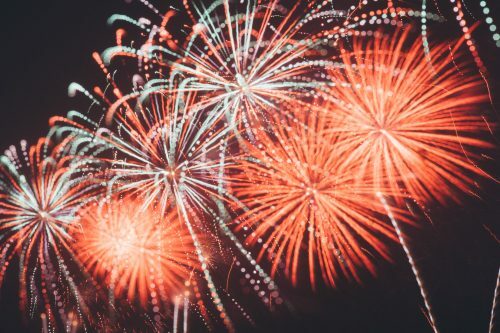 December 2018 marked the end of the Resilience Shift’s second year. We met with our Programme Board in early December to discuss our progress during 2018, and to confirm our plans for 2019. This provided an excellent opportunity to reflect on the previous year and assess the impact that our work is starting to have. Highlights from 2018, shared throughout the year in our blogs, make for satisfying reading when collated together. We have put our strategy(developed by Dr Nancy Kete, as part of her Executive Director role), into action during 2018. This means we’re planning projects, investments and events that are directly contributing towards our expected outcomes. This will ultimately create a shift towards our vision through the delivery of activities across our three (current) workstreams. It’s been great to see our developing global presence and exciting to welcome so many new grantees and collaborators, from many countries, to the programme in 2018. They are helping to build and strengthen our global networks. Our activities are spreading from three main ‘hubs’ in the UK, west coast US, and Australasia. Similarities and differences between these geographies is something we expect to emerge further in 2019. 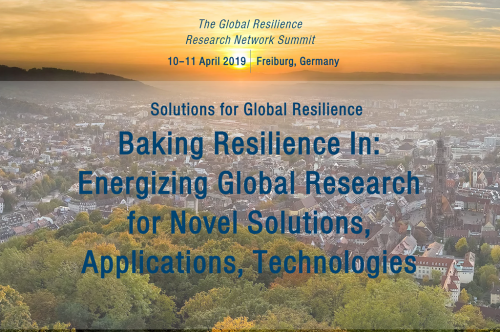 We can already see the connections between our activities and our partners in the development of resilience primers, our work to review standards and policies, and our new project looking at how the global supply of food depends on critical infrastructure. We expect a packed first three months for 2019. We’ll be sharing outputs from many of our current activities, launching new projects, and progressing at pace with events including our next stakeholder forum on Tools and Approaches, Resilience Shift round-table events in Berkeley (US) and Christchurch (New Zealand), and a series of global workshops on the topic of food supply chain resilience. Project outputs to come online at the beginning of 2019 will be those from our work in resilient water governance as part of the City Water Resilience Approach. This work has exposed regional similarities and differences and a key learning from the ‘deep dive’ into the water sector is the huge potential for transferring this learning across other infrastructure sectors. The WaterShare tool has been designed to manage challenges associated with fragmented governance across catchments. Fragmented governance is a theme that comes up again and again in our conversations, from ports and shipping, to energy, and more broadly the system-of-systems that makes up national critical infrastructure globally. There is a great opportunity to share lessons across different sectors to improve overall resilence, which is very appealing. Alongside these planned activities, we will be continually developing new ideas, and seeking out more pioneers to work with, while keeping an eye on the Resilience Shift’s long-term vision. 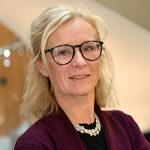 Jo da Silva, Arup Fellow and Director International Development, who has pioneered Arup’s work on city resilience for many years, is Acting Programme Director. We are looking to recruit a Global Director to take forward and raise the profile of this pioneering initiative and increase its global influence, setting the direction for the Resilience Shift long term. We look forward to working with all our grantees and partners in 2019 and continue to seek new collaborators to join our community. So please do get in touch. A number of reminders of the vulnerability of some of the systems we depend on, such as the outage of the O2 mobile phone network here in the UK, the ongoing stresses related to provision of potable water in Louisiana and Appalachia. 2018 also appears to have been a year of global weather extremes, as shown in this Guardian infographic. There have been several recent top down policy-led publications relating to infrastructure resilience. These have included the US Climate Alliance’s ‘New Governor’s Resilience Playbook’; President’s NIA Council; OECD’s recent policy paper on ‘Climate-resilient Infrastructure’; and ‘Building Regulation for Resilience’ looking at the case study of Japan. These publications are all highly relevant to our work on developing an understanding what incentivises resilience in infrastructure, both in terms of policy and regulation and market driven incentives. One of our Grantees, 427 has sponsored a recent GRESB Special Report on ‘Resilience & real assets’ which marks the beginning of a global effort to make the built environment stronger, safer, and more resilient. ‘Serious games’ as a way of embedding important messages, and Munich Re’s ‘What the Hack’ campaign is a good example of this. Our grantees Resilient Organisations published their ‘New Zealand Resilience Index’. There are transferable lessons from this work, while the NZRI deals excellently with the specific context of New Zealand.